Dragonfruit... The Next Super Food! What sort of grower are you and what area are you from? Have you had experience with growing dragonfruit before and if not, have you considered it? 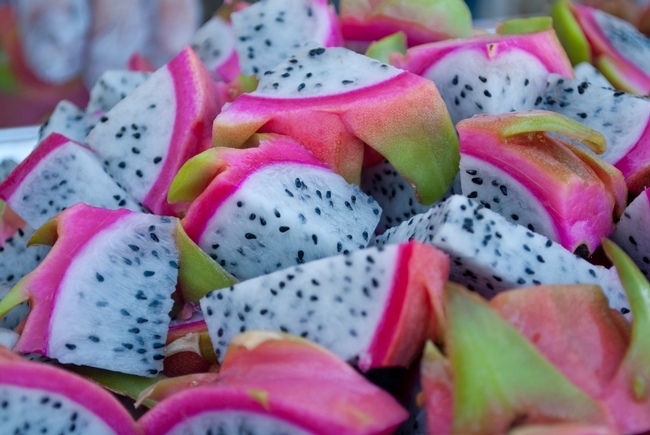 Dragonfruit looks amazing!! I'm a hobby farmer in Vista, CA and have never seen Dragonfruit before this article. Is there any places you know of that I could get seeds or a cutting to try and groq some? Thanks for the comment Don! We actually have an annual Pitahaya (Dragonfruit) Field day where attendees hear from our Advisors who offer up growing advice, pruning techniques and pest management ideas. Attendees also get to try a bunch of different varieties and take home a few clippings from some of those varieties. Let us know if you'd like to be added to our Pitahaya mailing list and you'll receive an email for our next field day. I love dragonfruit. Such a great flavour and texture. Can't decide whether I prefer pink or white though.